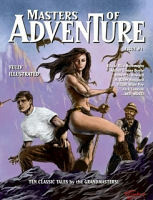 Jim C. Hines‘s fiction has appeared in more than forty magazines and anthologies. His first published fantasy novel was Goblin Quest, after which he went on to write the princess series, four books often described as a blend of Grimm’s Fairy Tales with Charlie’s Angels. Jim’s books have been translated into German, French, Czech, Polish, and Russian, thanks in no small part to his wonderful agent. In 2010, he signed a contract with DAW Books for a new current-day fantasy series. His latest novel is Libriomancer. Jim lives in mid-Michigan with his wife and children, who have always shown remarkable tolerance for his bizarre and obsessive writing habits. Libriomancer is the story of Isaac Vainio, a librarian from Michigan’s Upper Peninsula with the ability to reach into books and create the items described on their pages: everything from disruptor pistols to Lucy’s magical healing potion from Narnia. He’s a member of Die Zwelf Portenære, a magical organization founded five centuries ago by Johannes Gutenberg, the man who invented libriomancy … a man who has now gone missing, and may be responsible for a string of supernatural murders. Also, in chapter one, Isaac has to fight a trio of sparkling vampires. This is the first book I’ve set in the real world—mostly real, at least—and part of the fun was working various Michigan settings into the book. Here’s a sampling of what you’ll find in the pages of Libriomancer. “Even before I learned what I was, books were my escape from the world. This place . . . bookstores, libraries . . . they’re the closest thing I have to a church.” –Isaac Vainio. There’s a scene in The Matrix when Keanu Reeves says, “We’re going to need guns. 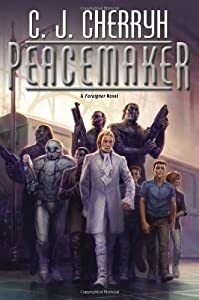 Lots of guns.” In an early draft of Libriomancer, Isaac entered K’s Books, looked around, and said, “I’m going to need books. Lots of books.” This place isn’t just his church; it’s also his armory. K’s Books is based on John King Used & Rare Books in Detroit. The first time I entered that store, I fell in love. It’s a four-story warehouse overflowing with books. It’s a bit shabby-looking on the outside, and the inside might not as pretty and shiny as your average big-chain store, but to me, it feels like Heaven. I took my family there for Christmas one year, gave them each a paper grocery bag, and told them to go wild. Brillo the store cat was curled up on the edge of the counter. Age had robbed Brillo of most of the kinked hair on his back that had given him his name, leaving him rather pathetically pink and balding, but the years had taken none of his attitude. Every bookstore needs a cat, right? My parents have always had rather interesting pets, including a brain-damaged squirrel, a three-legged laborador, and a rather pathetic flat-faced cat with chronic skin fungus. (We named him Smoosh.) Their current cat is Brillo, and he’s great. He’s loud and crotchety and has lost roughly as much hair as I have. Here he is at Christmas, claiming his gift. The Mackinac Bridge is one of the largest suspension bridges in the world, connecting Michigan’s Upper and Lower Peninsulas. In 1989, Leslie Ann Pluhar stopped her Yugo in one of the center lanes, which are made of metal grating. A gust of wind blew her vehicle off of the bridge. Given that Isaac is a) afraid of heights and b) drives a small Triumph convertible, he’ll take angry vampires over crossing the bridge any day. Little-known trivia: in 1971, field agents from Die Zwelf Portenære waged a five-day underwater battle with a colony of lake trolls who had made their home at the base of the south side of the bridge and had been venturing out to feed on tourists at Fort Michilimackinac. The surviving trolls were relocated to a smaller, heavily monitored bridge in New Jersey. There you have it, your behind-the-scenes tour of the world of Libriomancer. If you’re interested in reading more about Isaac and his pet fire-spider Smudge, you can check out the first chapter on my website. I wonder if the MSU story was a partial inspiration for that insipid anti-RPG movie “Mazes and Monsters”. Roleplaying games drive you insane. Especially if you look like Tom Hanks! I remember you tweeted a picture of that bridge when you went on vacation. It looks like it would be an, um, interesting drive. The drive isn’t too bad, if you’re okay with heights. But it can be disconcerting, especially the center lanes, which are metal grating instead of pavement. First off, well done. It’s a rare modern book that I cannot put down until I finish it. This book took me till 2am (I guess I shouldn’t start books after 7pm, like coffee). Any idea when the next one will be out? Well, I’m definitely there for the second book, Jim.